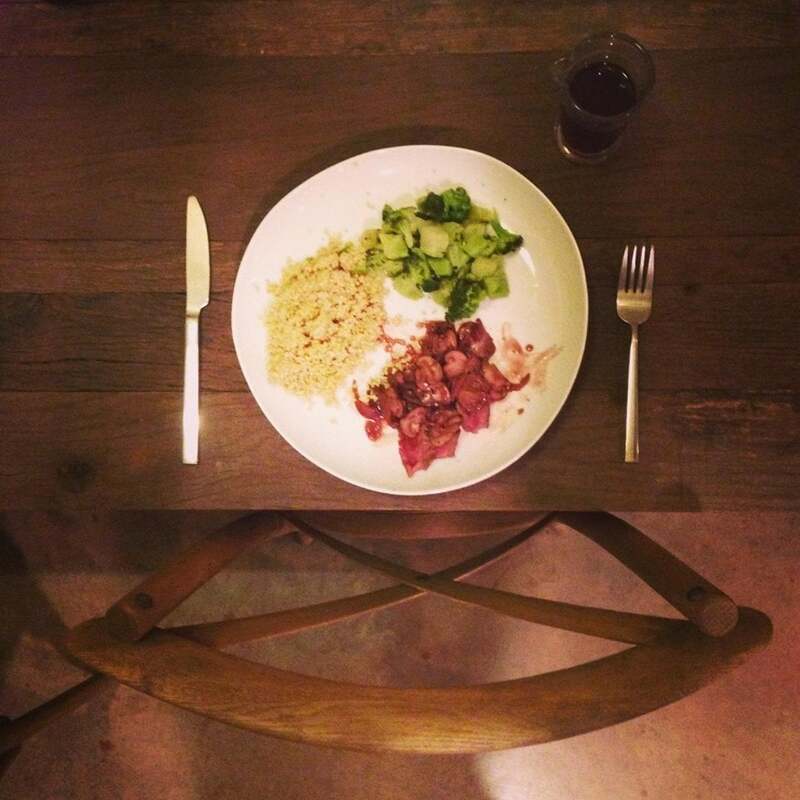 Recently, I had a friend over for dinner. It was impromptu and she brought along some venison that her dad had hunted. We whipped up something that was quick and delicious, so I thought I’d share it with you since we’re all always looking for quick weekday meals. The best part is that this sauce can be used with so many different types of meat. Try a beef loin, pork loin, or even chicken. Start by removing any silver skin or muscle tissue from the backstrap and season the venison with salt and pepper liberally on all sides. 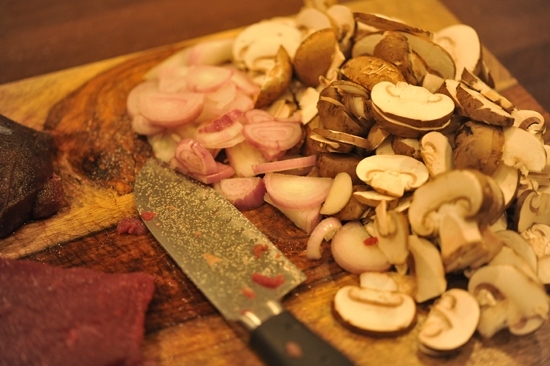 Then slice shallots and mushrooms thinly and set those aside. 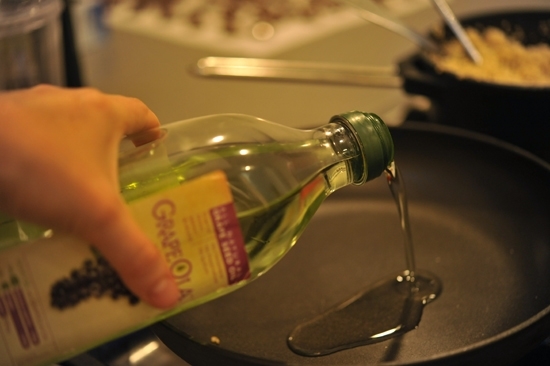 Heat a skillet with 1 tablespoon of the grape seed oil until smoking hot. Add the venison backstrap and sear on all sides until well browned, about 5 minutes in total for rare, about 8 minutes for medium rare. I never eat it more than rare because the more you cook it the more you ruin the flavor and turn it into a gray leathery mess. That’s also how you get that gray gamey flavor in meat that turns people off. 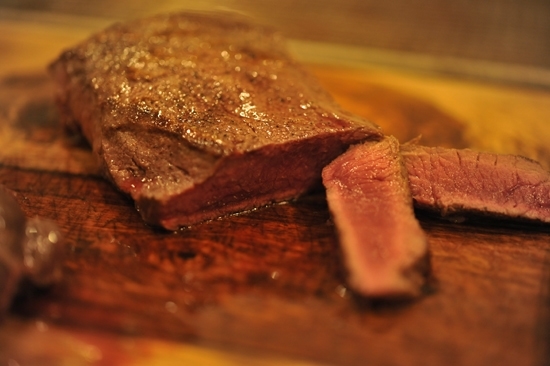 Remove the backstrap to a rack or cutting board and let it rest for 5-10 minutes. This is super important to do with all meat because it allows the juices to retreat back into the center. If you cut the meat too soon, all of the moisture will end up on your cutting board and not in the cell walls of the protein. 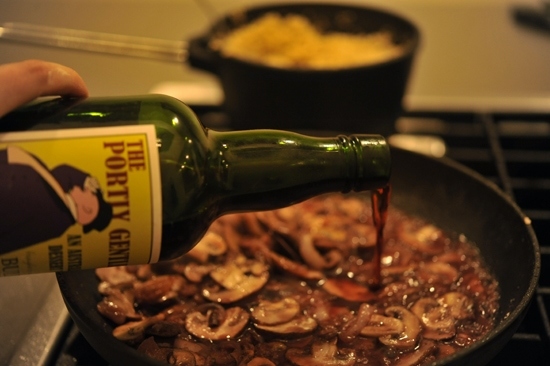 Add more oil to the pan, heat, and add the mushrooms and shallots. Sprinkle with salt and pepper to help release the juices and cook until soft. They will have some nice brown crusty bits too which is where the flavor is at. Sprinkle with the flour and stir to dry out the pan. 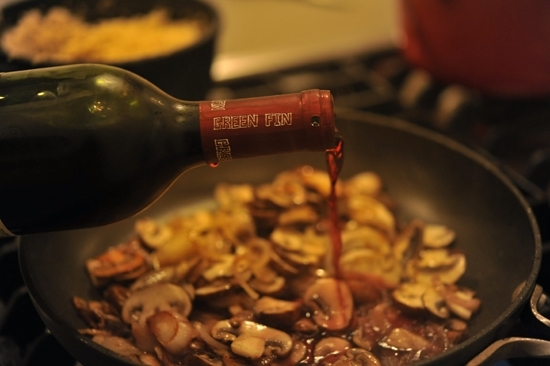 …and port, and simmer, stirring to break up the flour. Let reduce by about half until thickened and the alcohol burned off. …and spoon over the sauce. 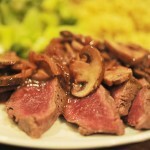 It is full of sweet and salt and tang and the sauce will go well with so many simply prepared lean meats. Give it a try this week! There’s nothing like a simple quick and satisfying meal with friends in these shorter colder days. How do you like your meat cooked? Especially if you eat wild game? 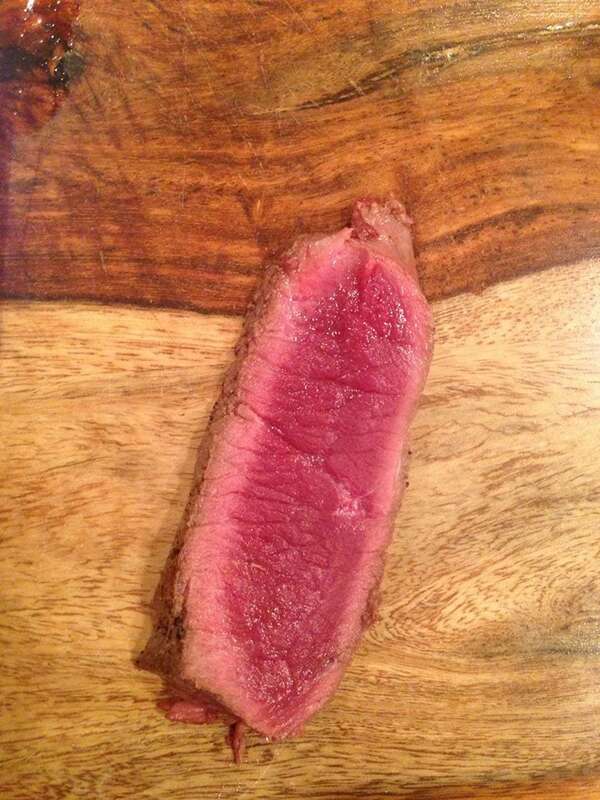 I’ll go first: I always eat it rare. Always. You get that gamy taste the more you cook it and risk giving it the texture of shoe leather, since it is pure lean protein with virtually no fat. I posted this picture on my Facebook page and it caused quite the debate so let us know in the comments where you fall on the spectrum! 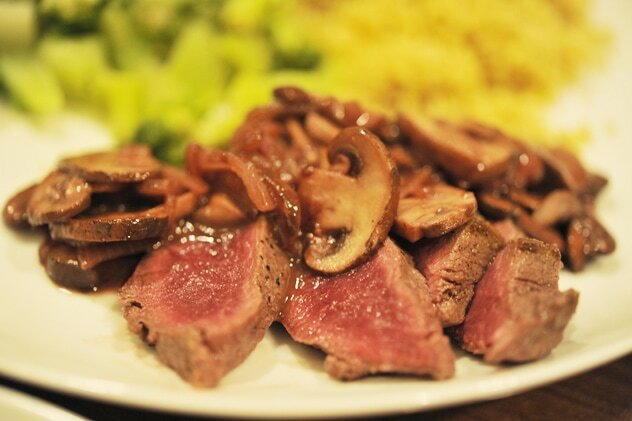 "Venison in Red Wine & Port Mushroom Sauce"
Season the venison with salt and pepper liberally on all sides. 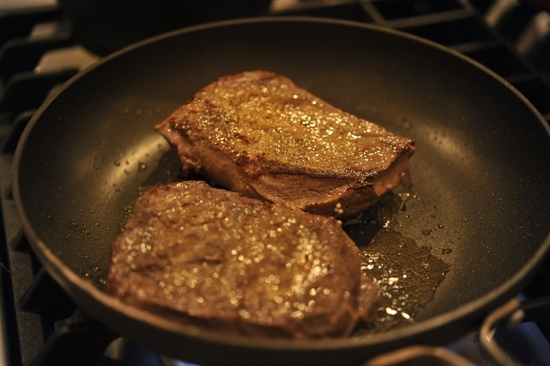 Heat a skillet with 1 tablespoons of grape seed oil until smoking hot. Add the venison backstrap and sear on all sides until well browned, about 5 minutes in total for rare, about 8 minutes for medium rare. 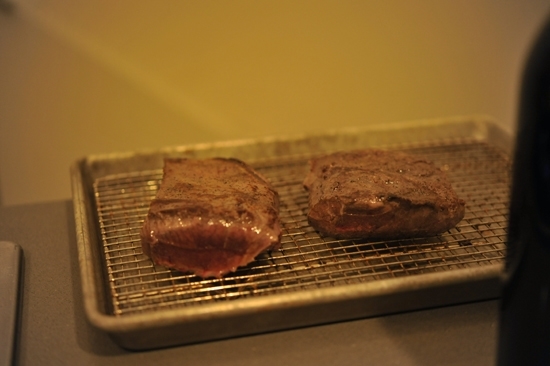 Remove the backstrap to a rack or cutting board and let it rest for 5-10 minutes. 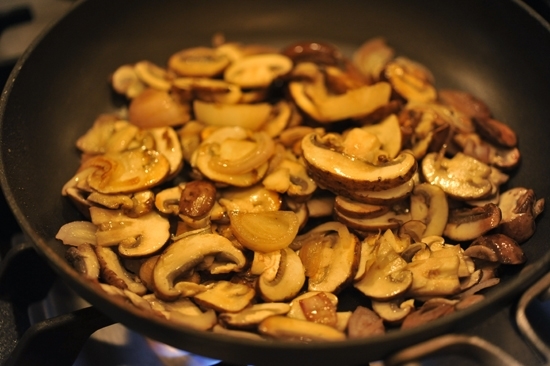 Add 1 tablespoon of grape seed oil to the pan, heat and add the mushrooms and shallots. Sprinkle with salt and pepper to help release the juices cook until soft. 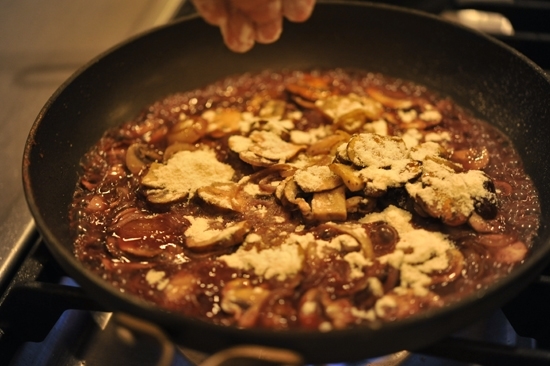 Add the red wine and port and simmer, stirring to break up the flour. Let reduce by about half until thickened and the alcohol burned off. 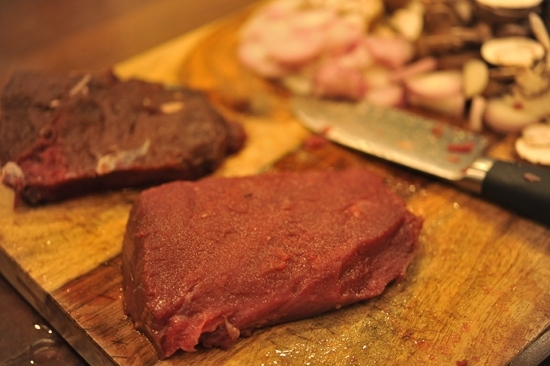 Slice the venison into thin slices and spoon over the sauce. Yum! A recipe I think I can actually do! We love it just like that. I have two girls, 9 and 12, who don’t understand how anyone can eat red meat without it sitting in a pool of blood! Ready to stock up on some backstrap!! I’m with you regarding eating venison rare. It’s way too lean to cook more than that. Our deer butcher always gives us a lot of what he calls venison chops, which are thin, like minute steaks. They cook in a flash, and are great for quick thawing and slicing thinly for stirfries and curries. Of course, the exception is a venison roast. I just bought a crock pot primarily to handle all the roasts in our freezer. Made the first one yesterday and it came out perfect. 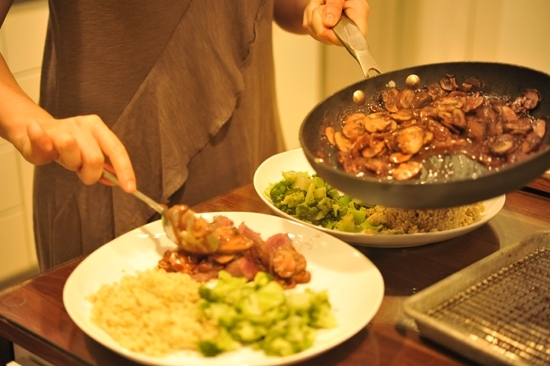 Venison and slow cooking are a match made in gastronomical Heaven. HOPEFULLY YOU ARE GOING TO BE AT THE 2014 PHEASANT FEST IN MILWAUKEE WISCONSIN THIS YEAR. IF NOT ARE THERE ANY OTHER PLACES YOU’RE GOING TO BE. You should write to them and ask them to have me there. I was last year but I’m sure if there’s demand we can make it work again! Otherwise I’ll be appearing at the Austin Food & Wine festival this year… keep checking my Facebook page for the latest events. Excellent recipe. I substituted elk tenderloin medallions (3 minutes total), only one shallot, and 3/4 cup of wine and port for a tasty brunch. 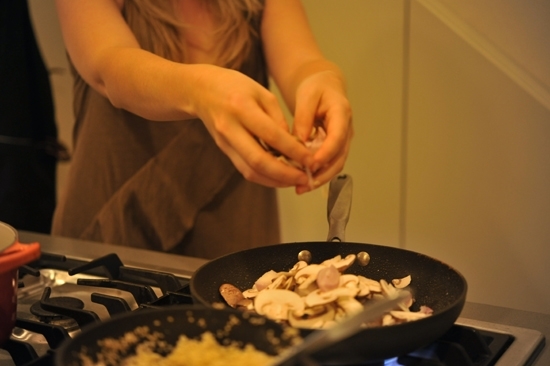 Some pre-sauce mushrooms and shallot were reserved for parmesean scrambled eggs. 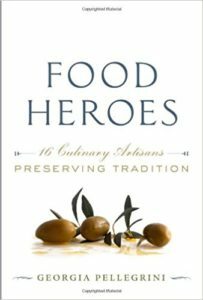 Georgia, I also found shallots as a key venison loin flavor enhancer. Your red wine & port are also boosters I will try. I’m not much of a cook as yourself but enjoy the robust protein flavors of the wild organic harvest. a person should try your rare flavored loin before they judge. I enjoy the taste and respect high protein! 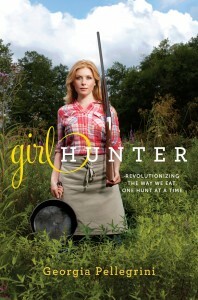 Thanks so much for exploring and sharing your wild recipes. I’ll be trying this one next week! i with you rare. Otherwise it is tough and Tasteless. 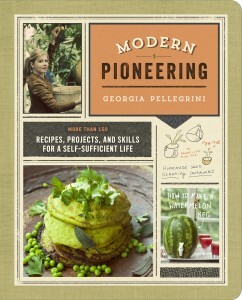 The Official Site of Chef Georgia Pellegrini | Food, Travel, Lifestyle, Hunting and Redefining Slow Food < Liked it!